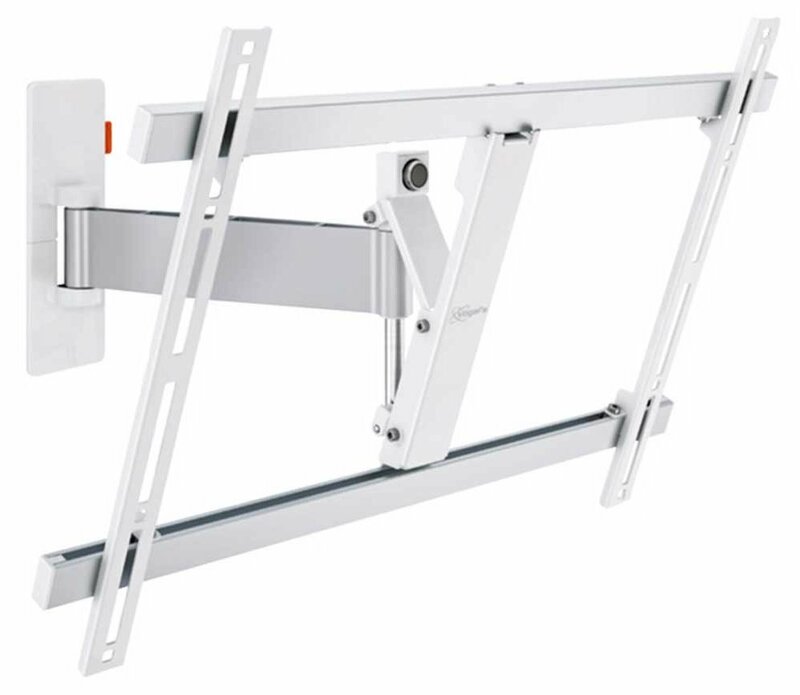 Enjoy your favourite sporting event like never before with the expertly designed WALL 2325 swivel TV wall mount from Vogel's. Invite the whole neighbourhood over to share in the excitement of those final nerve-wracking minutes no matter where you're sitting in your living or entertainment room. The WALL 2325 white is ideal for a variety of different viewing styles; from a busy mum who wants to catch up on the news while making lunches, to a video game enthusiast who demands the best view when destroying their enemies. 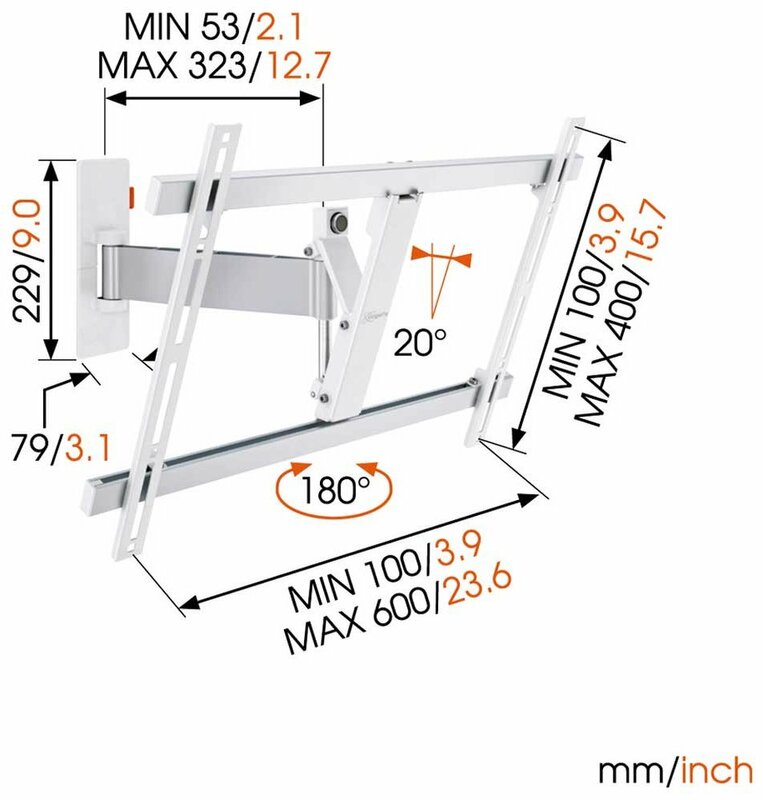 These swivel wall brackets allow your screen to turn up to 120° (60° left and 60° right), and tilt your screen forward up to 20°; and the easy to djust level makes sure your TV hangs perfectly horizontal. 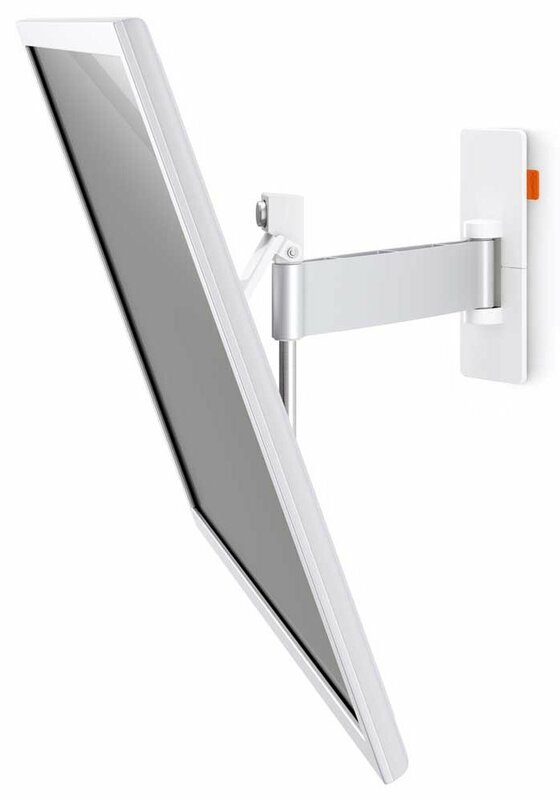 Share life's special moments together with the flexible WALL 2325 white wall bracket from Vogel's.